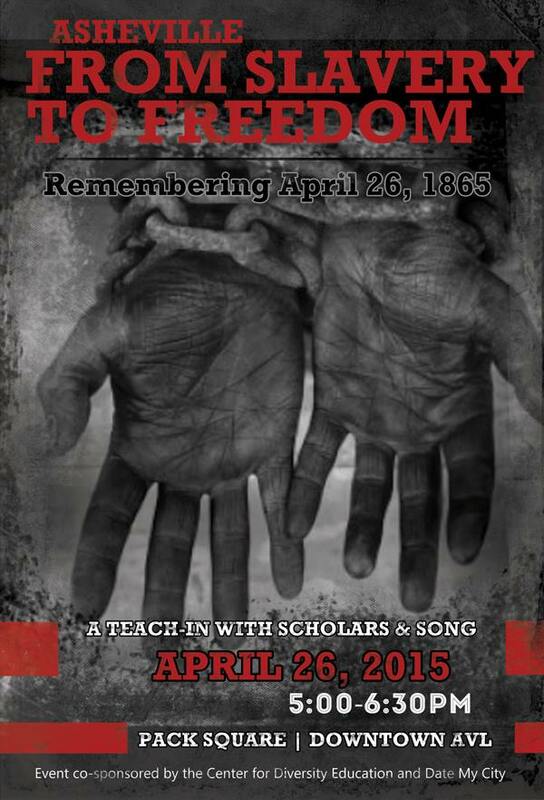 Asheville: From Slavery to Freedom, April 26, 2015 from 5 – 6:30 pm at Pack Square, will commemorate a significant date in Asheville’s history, never before publicly recognized to my knowledge. Co-sponsored by the Center for Diversity Education and Date My City, this event is another opportunity to come to a deeper understanding of our history, so that deeper liberation can occur in our community. The Union Army of General George Stoneman, led by Brigadier General Alvan Gillem, approached Asheville on April 23, 1865. After signing a truce with the home guard, the General led 2,700 troops and hundreds of newly freed slaves along the Main Street of Asheville (now Biltmore Avenue). As they proceeded to leave town on April 26, they were joined by newly freed slaves from Asheville who sought safe passage out of the mountains to a new life elsewhere. We’ll look back on this day 150 years later.